Have you ever wanted to purchase top brand gear for your team, but can't seem to find it for a good price from a local vendor? Perhaps you aren't happy with the service that your current dealer provides, or want to create a new logo and aren't sure where to start. There are many reasons to switch to a team dealer, but those reasons aren't always clearly defined. Let's focus on the top 10 things your team dealer should nail every time, and discuss the benefits of these best practices. With so many brands to choose from, it would be difficult for a small, local dealer to keep a number of brands in their inventory. 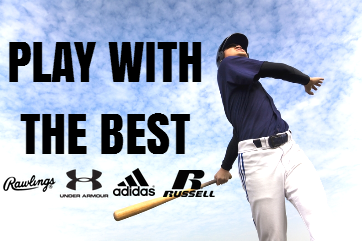 A team dealer should have a warehouse staff who knows what gear is already in house, and a purchasing team who can order the brands that you want at a competitive price. Purchasing good quality gear that's on budget can be challenging. A dealer should provide you with good, better and best options so that you can choose the packages you want at a price that fits your budget. That way, your team will feel proud wearing their gear, and you can rest easy knowing you got the best product for less. While a car wash may build team morale and fan support, small fundraisers can't always finance new uniforms for the upcoming season. Team dealers should have options for parents, friends and boosters to buy spirit wear that supports athletes on the field, that provides a rebate to your team for the new gear you need next year. Some teams rely on parents for funding, which makes choosing the right gear for different budgets a challenge. Additionally, coaches and captains want a say as to what items the team should wear. With an online store solution, you and your athletes can hand pick the apparel you want to see on your team storefront, and furthermore allow everyone to purchase the items they want from the privacy of their own homes. Your team counts on you for a lot, but who do you have to lean on when you need help choosing gear or tracking a team order? A full time customer service department, who cares about your team as much as you do. From checking on an order to answering questions about apparel, your dealer should have a staff that wants to help you from start to finish. It's that simple. Ever been stuck looking at team catalogs, with no idea what brand to choose? A full time merchandising team knows from testing and experience what brands have the best price, quality, and look for your team. It's part of the job of a team dealer to be well versed in the different brands that are out there, and to help you make the best choice for your needs. Buying the right gear is important, and so is decorating it with your team logo. An on-staff design team will help you ensure that you approve of your team artwork before your order hits the production floor. And if you don't have a team logo, no problem. Your team dealer's art department should be equipped to design custom artwork for tees, hoodies, or new uniforms that will make you stand out from the competition. Booster clubs and teams struggle with tightening budgets now more than ever. Saving money on team purchases should be easy, and an all-school buying arrangement can help significantly with cost savings. Your team dealer can be a one-stop shop for buying apparel for your entire campus, and offer incentives like top-brand bonus merchandise as rebates for team orders. No one wants to feel in the dark when waiting on new gear for the big game. ERP-- or enterprise resource planning-- systems are something your team dealer should not be without. From processing payment to tracking delivery time, your dealer should be equipped to answer questions about your order and put your worries to rest when there's a deadline you're committed to for your team. There's nothing worse than feeling pushed around when you have questions about your team order. A team dealer should have a methodology in place for managing team orders from start to finish, without having to pay a third party to finish production or provide customer service. With an Accuracy Guard system in place, SquadLocker can engineer a client experience unlike any other. Whether you're interested in talking about new apparel or want to simplify your approach to team buying, our team experts can help. Interested in learning more? Download our white papers to learn more about the things to look for when choosing a team dealer today.